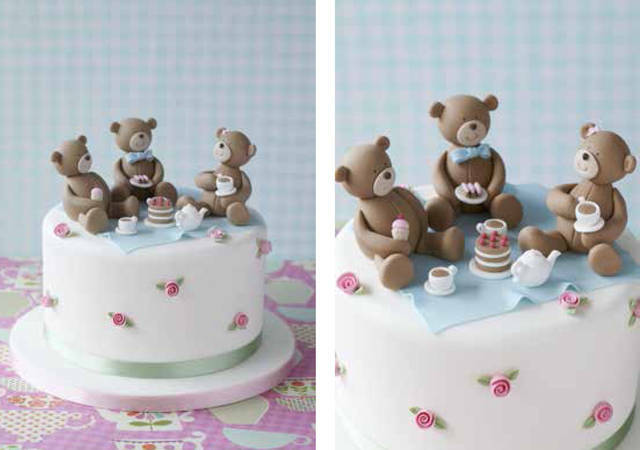 A teddy bears picnic cake always works great for birthday parties for little ones and is a great cake to have in your collection. The above cake by Zoe Clark of The Cake Parlour keeps it simple yet chic with pretty vintage colours in sage green, pale blue and pink rosebuds. 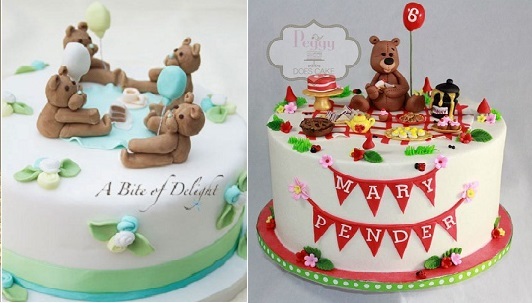 It’s a theme you can go into as much detail with as you like, as the cake designs below demonstrate. 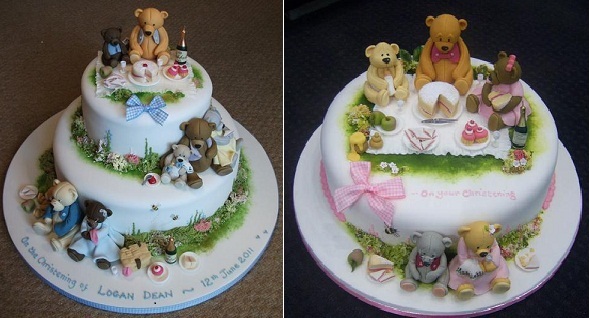 While our own preference here is for pastel coloured children’s cake, the teddy bears picnic theme works great in stronger storybook colours too. You’ll find a simple tutorial here on how to make a teddy bear sugar model. Coming Up Next: An Easy Cupcake Decorating Idea..